Leviton's 3-Gang Decora <sup></sup>/GFCI Device Decora <sup></sup> Wallplate features rounded edges to prevent injury and wall damage and is made of deluxe stainless steel Type 302 ( 0.32" thick). Leviton's 1-Gang Thermoset No Device Blank Wallplate is photoelectrically color-matched to other Leviton Decora <sup></sup> devices and is designed for high dielectric strength and arc resistance, as well as resistance to fading, discoloration, grease, oils, organic solvents, and moisture scratches. 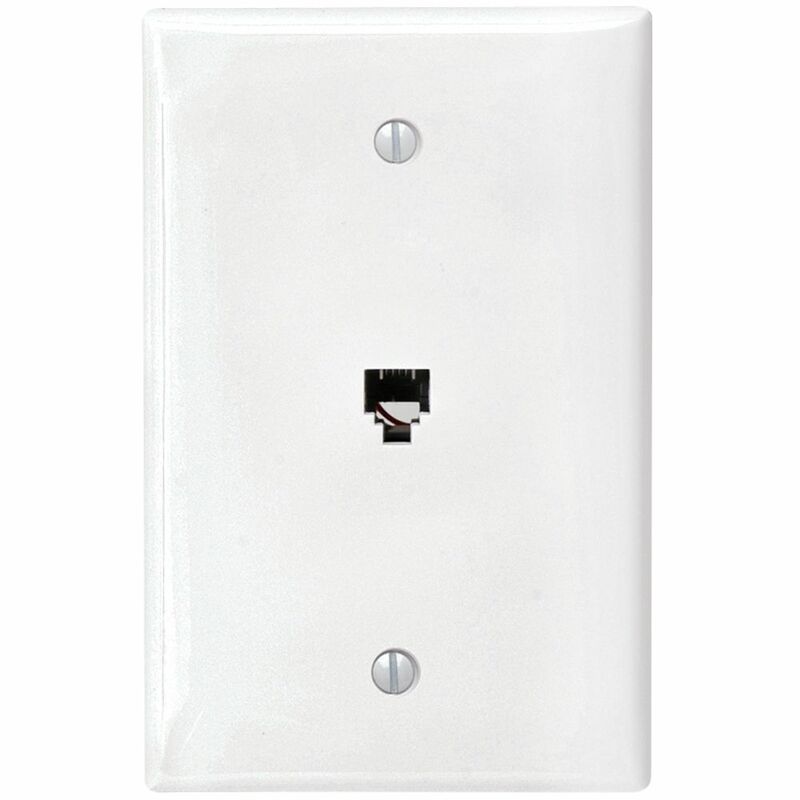 Phone Jack Midsize Wallplate Leviton offers a complete selection of wallplates in multiple configurations to suit any need. Choose from three sizes: standard, midway and jumbo. Midway and jumbo versions are ideal for covering wall imperfections.